THE HEART OF MUSIC CITY. Nashville Convention Center into a vibrant, mixed-use mecca. artistic culture of Nashville, with a fresh interpretation all its own. Developed and designed by OliverMcMillan and Spectrum|Emery, this highly anticipated hub will set the tone for the evolution of downtown Music City. Downtown Broadway is the heart of live music, with the best of local and national eateries and shops along with museums and cultural attractions. Not to mention, easy entries to all major roadways. 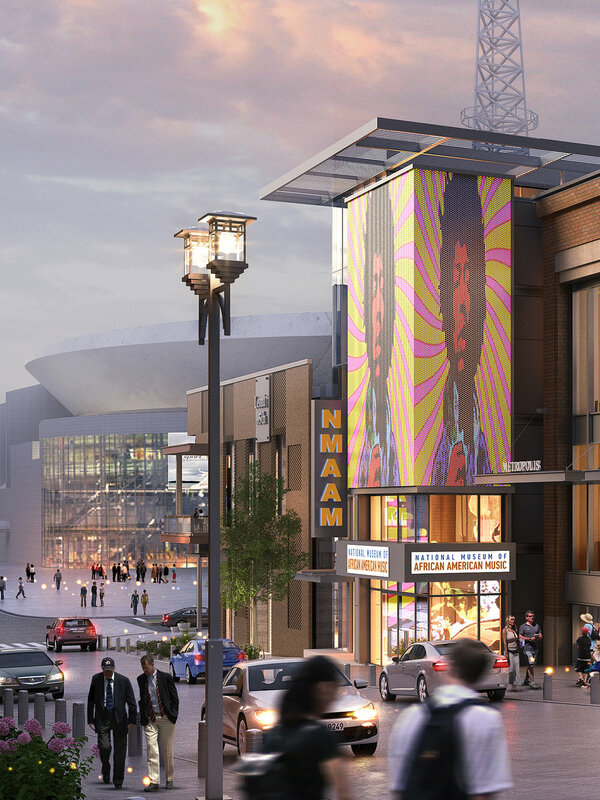 The National Museum of African American Music will be the only museum of its kind dedicated to the multiple dimensions of African American music and a point of pride for all Tennesseans. Fifth + Broadway is at the most dynamic intersection of music in the entire country. Neighbor to the historic Ryman Auditorium, the Bridgestone Arena (the world’s number six venue for ticket sales) and the rollicking Honky Tonk Row at Lower Broadway. Blocks from legendary destinations like the iconic Country Music Hall of Fame®. 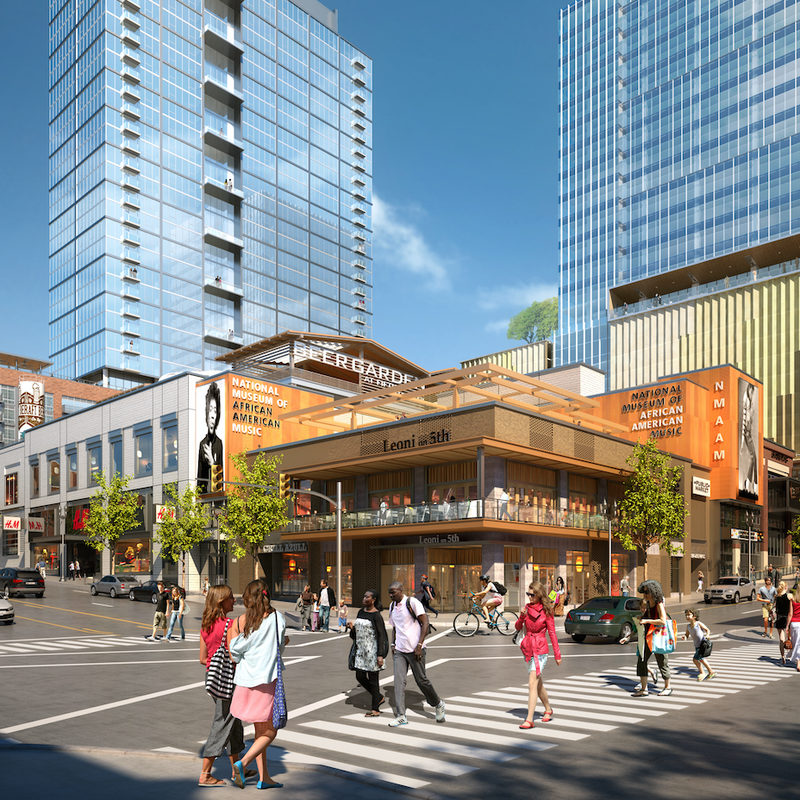 Fifth + Broadway is where Music City comes to life.